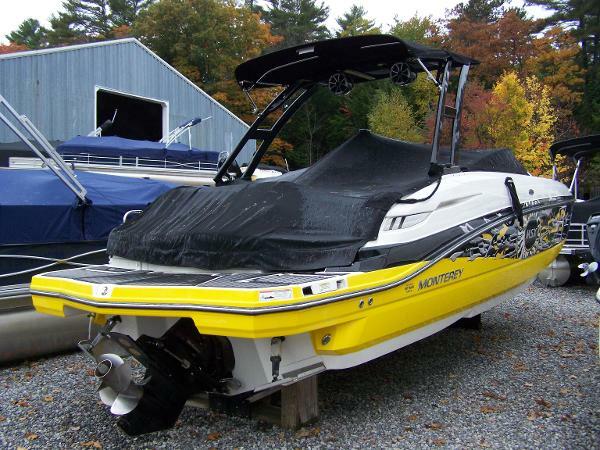 2012 Monterey M5 MSX Sport Boat This M5 is a fresh water only boat, powered with a Mercruiser 8.2 MPI, DTS Bravo 3!!! Digital throttle and shift is fly by wire, no shift cables to worry about! 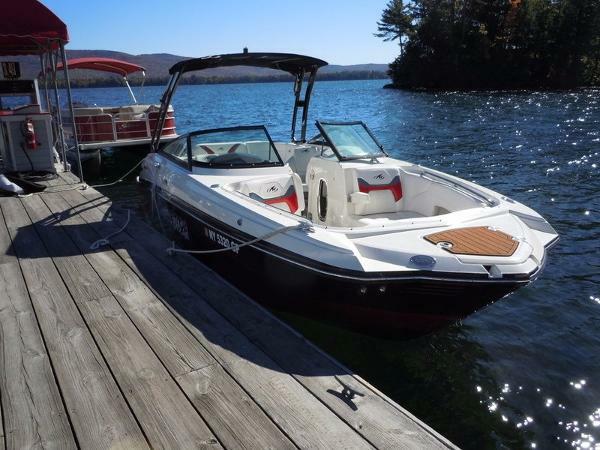 This boat will run 50 MPH... Loaded with all the MSX options, cruise control for wake boarding,ballast tanks, wake tower with speakers, stereo with subwoofer, amp, etc. Pump-out head, trim tabs, dual batteries with switch, docking lights, bow and cockpit cover. 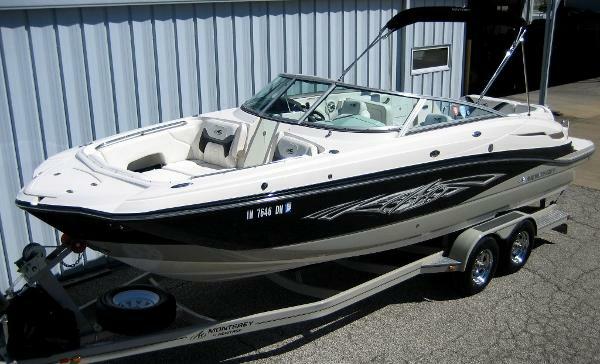 2011 Monterey M5 Mercruiser 350 MAG MPI with a Bravo III drive. Custom Trailer. The first model of a new series of exciting, multi-usage sport boat has arrived…Monterey’s M5. Tri-tone gelcoat is standard or you can spice up your M5 with stylish M graphics, the choice is yours. 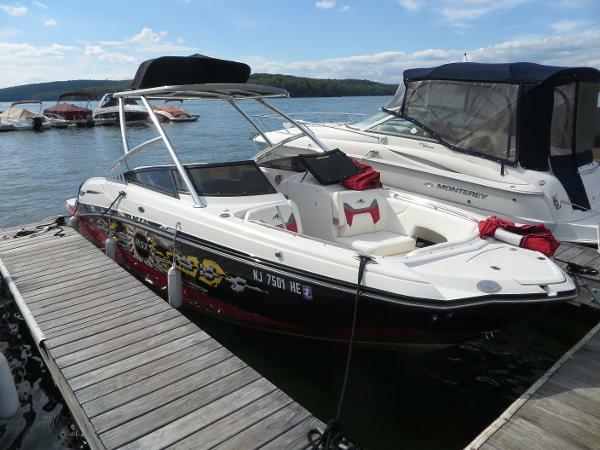 Take the entire family out for a day of cruising, skiing, wakeboarding and tubing…you’ll have all the space and amenities an active crew will appreciate like never before. The M5…style, luxury and performance personified. - Very Clean! Low Hours! Priced Thousands Below NADA Value! 2011 Monterey M5-MSX, This is a 1 owner MSX Pkg!!! Powered with a Mercruiser 350 MAG MPI,DTS (digital throttle & shift). Bravo 3 (dual prop). Docking lights, smart tow (cruise control), GPS,dual batteries w/ switch, table, Ballast system, upgraded stereo w/ equalizer and sub, hard top with 4 speakers, LED lights, stereo remote at helm and transom, bow cover, cockpit cover, pump-out head, low profile tinted windshield. Trailer IS Included! 2015 Monterey M5 Brand New M5 Ready to Go!!! 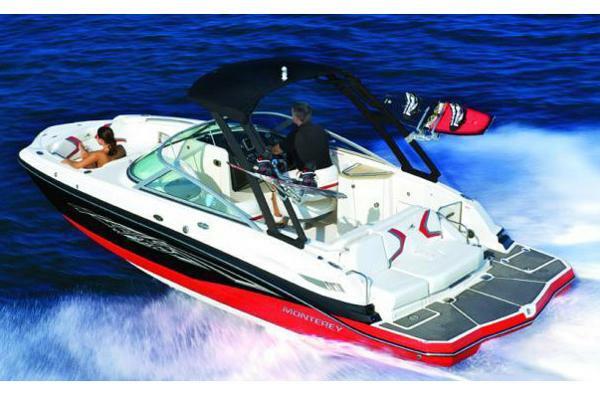 The M series is a GREAT all around sport boat with storage for days & one of the most open layout on the market today! 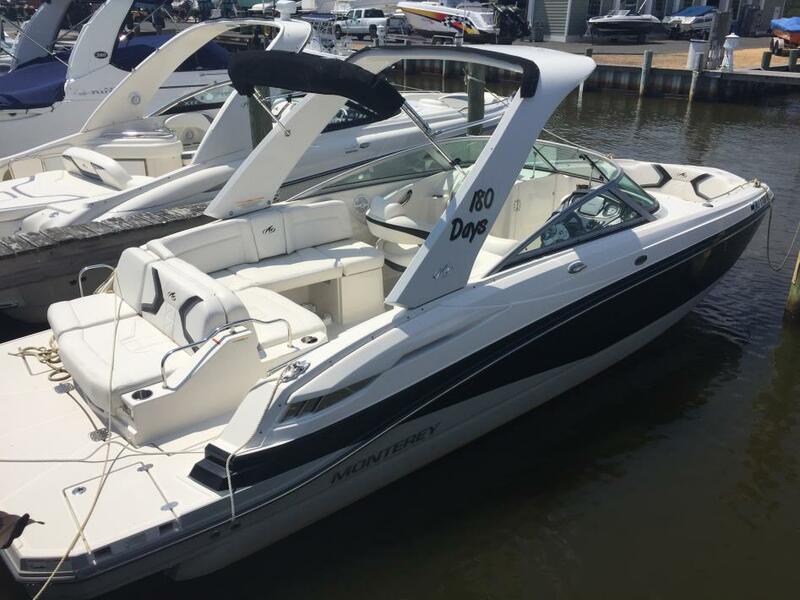 This boat is loaded with options & ready for immediate delivery! 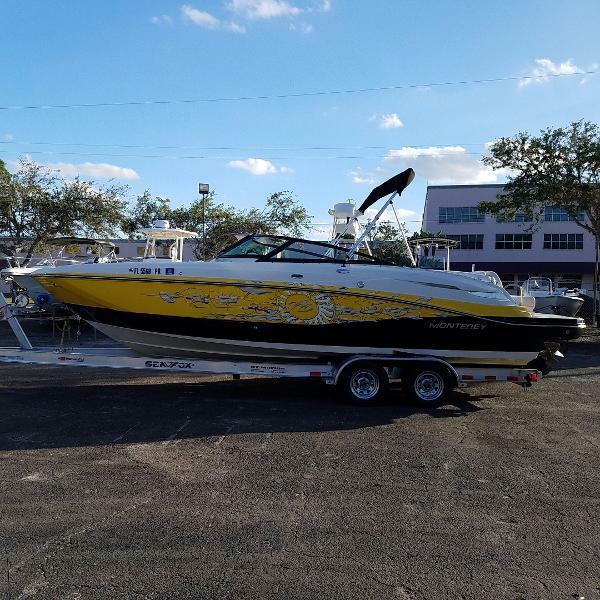 Boat show pricing right now! 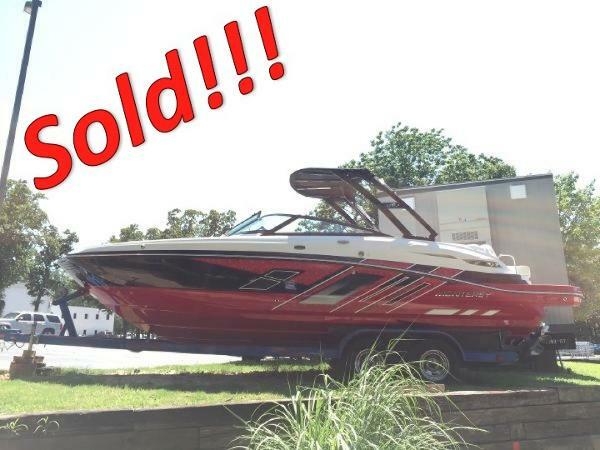 Financing & Delivery available!Mercruiser 377 Mag.Bravo III DriveDTS Controls (Push Button Start/Stop)Underwater LED'sWakeboard Tower w/Bimini TopsFull Mooring CoverWoven FlooringRaymarine Touchscreen GPSWet Sounds Stereo Upgrade w/SubDepth FinderPort Side LoungerPower Rear Sunpad/LoungerBlue Tooth Fusion Head UnitPull-Up CleatsStainless RubrailPump-Out HeadAnd Much More! 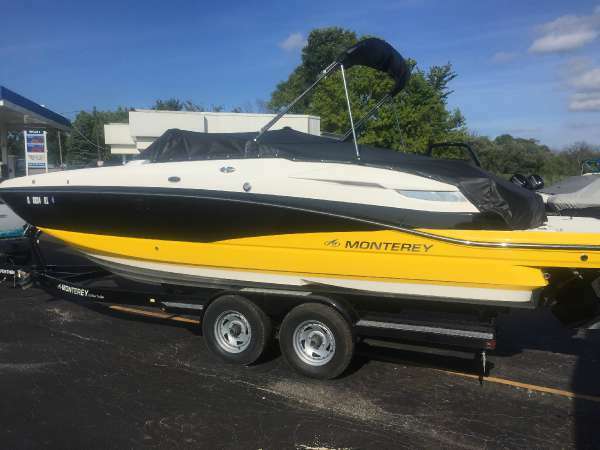 2011 Monterey M5, 2011 Monterey M5 with 290 hours!Single Mercruiser 350 MAG - 300hp, Radar Arch, Garmin GPS Plotter, MB Quartz Stereo system, transom stereo remote, cockpit table, electric reclining rear seat that turns into a sun pad lounge, enclosed head with pump out deck fitting, cockpit and bow coversGreat boat for the $$$$$! 2015 Monterey M5 PRE-SEASON SALE - SAVE $20,000 OFF MSRP!!! 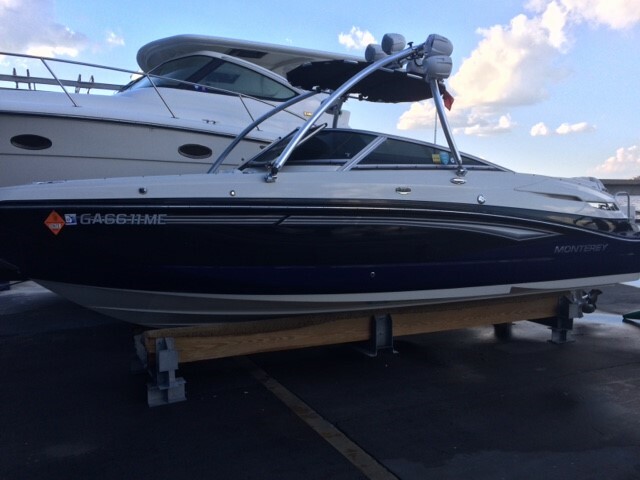 We have a Monterey M5 loaded with a Volvo 5.7L V8, 320hp, EFI, SS DuoProps, Wakeboard Tower, Swivel Board Racks (not pictured), Stereo Upgrade Package (Includes 4 Wet Sounds Speakers, Subwoofer, and a 4 Channel Amp), Stern Stereo Remote, Raymarine GPS/Chartplotter, Digital Depth Finder, Trim Tabs, Bimini Top, Head w/ Porta Potti, Vanity w/ Solid Surface Top, Sink & Pullout Sprayer and Synthetic Wood Flooring, Wet Bar w/ Solid Surface Insert, Sink, Faucet, Slide-Out Carry-On Cooler & Storage, Two Bucket Seats (swivel and bolster), Aft Back To Back L-Lounge w/ Fiberglass Bases & Sun Pad Conversion w/ Recliner (Electrically Actuated), 48-QT Cooler, Cockpit Table w/ Pedestal (bow/stern), Snap-On Bow/Cockpit Covers, Dual Batteries w/ On/Off, Bow/Transom Showers, Huge Open Bow with Filler Cushions, Bow Ladder, Center Ski Locker, Custom Matching All-Weld Tandem-Axle Trailer with Disc Brakes, Spare and Bow Ladder. 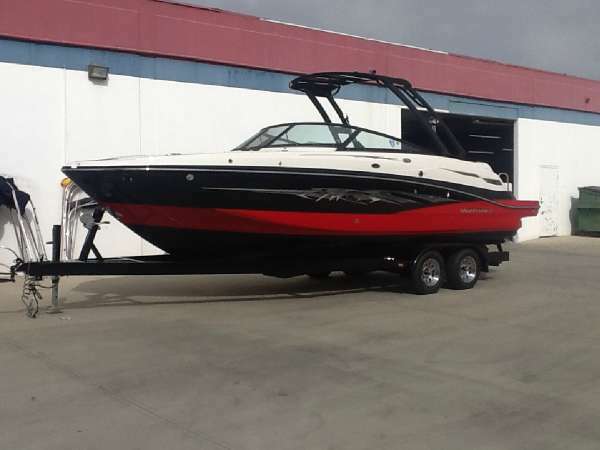 Give us a call for more information 559-436-1888 or leave a deposit for this boat. We offer financing. 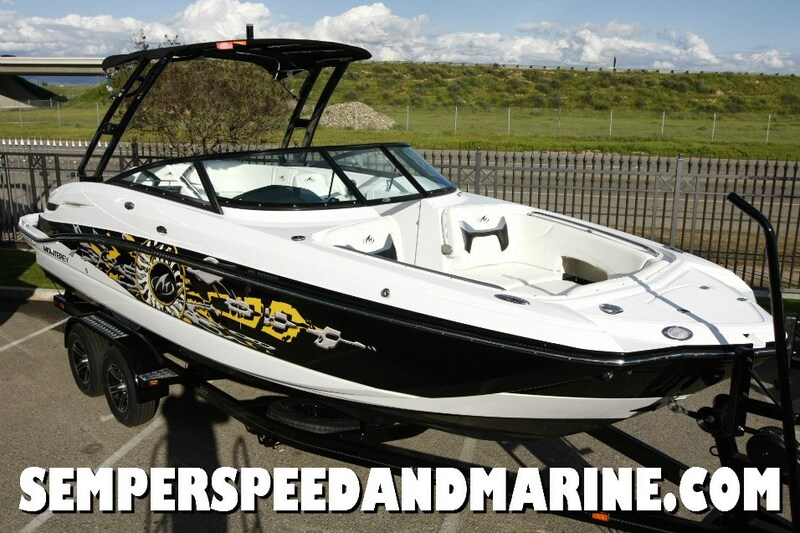 Go to our dealer website to apply www.semperspeedandmarine.com We ship boats. Get this boat delivered to your front door. 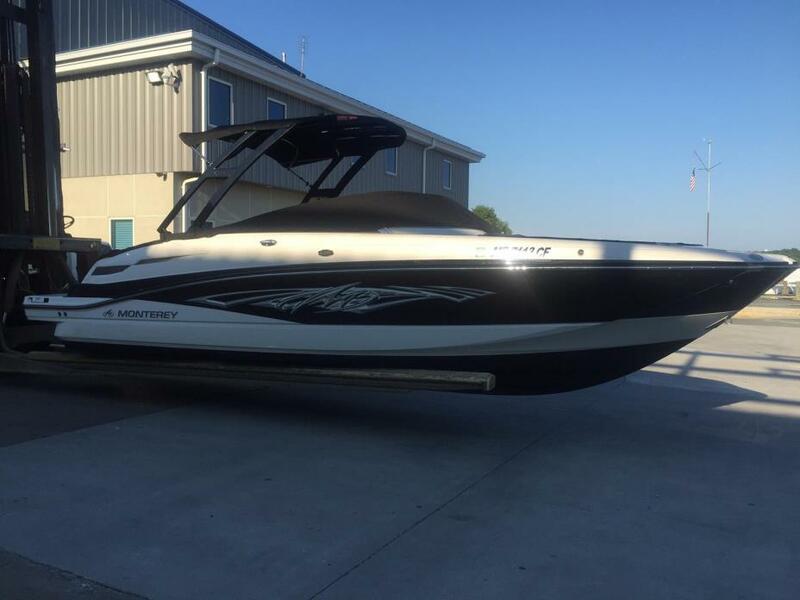 2014 Monterey M5 MSX Designed for Diehards For the ultimate in sport boats, our M5 MSX provides everything you need to a full day of cruising, skiing, wakeboarding and tubing. 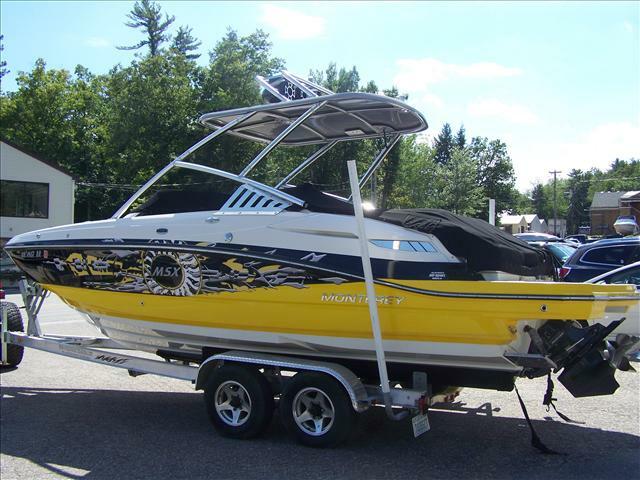 With the MSX graphics, your M5 will be the sharpest sports boat on the water. Just like the M5, it has lots of space for your crew and amenities they will appreciate and enjoy for years to come. - MAKE US AN OFFER!! !